All items are metal. 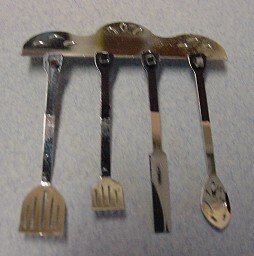 The rack is 1 ½" long and the utensils are approx. 1 ¼" long.